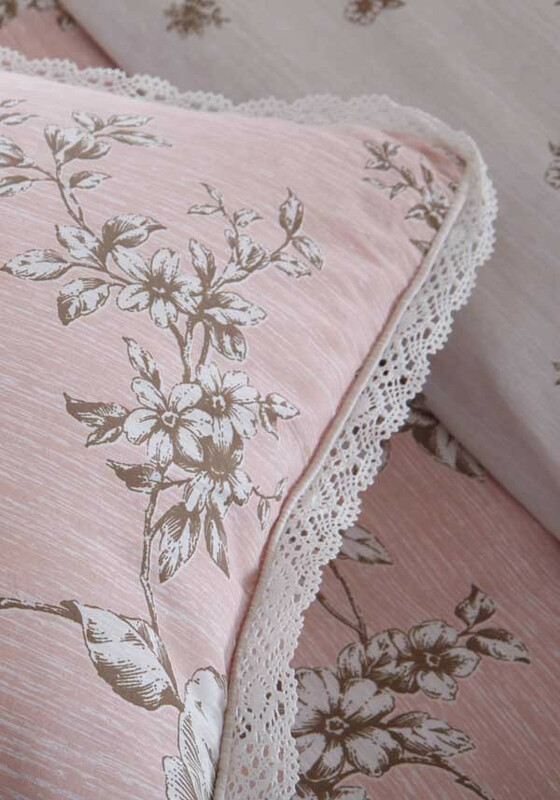 Pretty in pink, this gorgeous boudoir cushion features a vintage floral pattern, in pink, cream and brown. 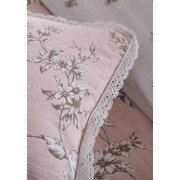 With a delicate crocheted style cream lace trim. 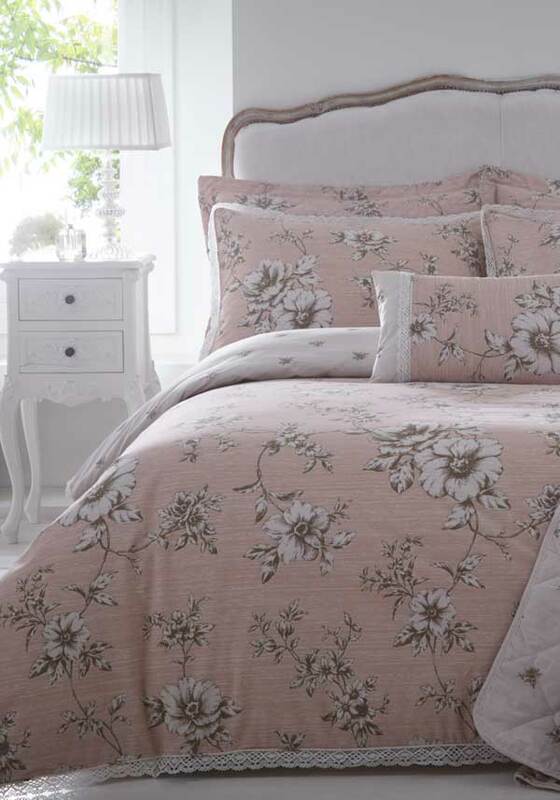 A soft and bouncy cushion, it adds both comfort and style to your bedroom.